Raising our two sons was the best gig I could imagine. 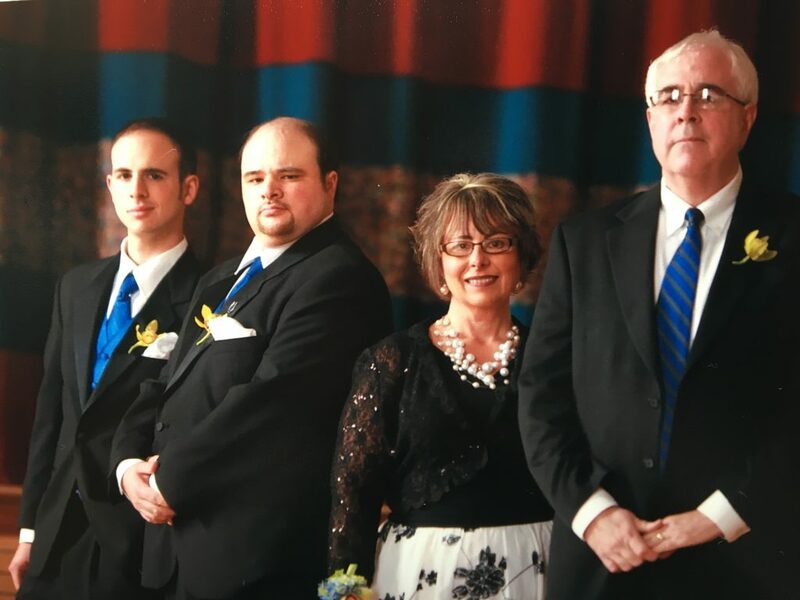 I loved everything about having kids at home, knowing what they were up to, attending Ben’s baseball and soccer games, and Sam’s band competitions. I shared in their shouts of joy and frustration while watching the Indianapolis Colts and in watching our sons grow into young men. When they were ready to leave the nest, this mom wasn’t. I had been the dugout mom, the room mother, the field-trip chaperone. I didn’t suppose the boys needed my skills in college, and a stray mom might be frowned upon at first-job sites. Once they moved on to first apartments and jobs, the only firsts on my calendar were the colonoscopy we’re all supposed to get at 50 and figuring out who I was apart from a wife and mother. I’m not proud to admit this, but I couldn’t imagine what God might have for me that could rival the job of hands-on mom. Then one day my husband’s idea inspired a fresh outlook. He said when we retire, we should return to my hometown. I hadn’t thought of this. His comment filled me with the oddest feeling of possibility. I realized there were surprises ahead and that I didn’t need to have a prepared script. In fact, I was incapable of creating a script that only God could write. But a question begged: If we returned to my hometown, what would we do? I imagined opening a bed and breakfast. Just for fun, I started writing a story about a woman I called Samantha. I gave her an empty nest, made her a widow, had her lose the job she adored, and in all, made a bigger mess of her life than I had going in mine. Then I moved her to her hometown, which looks a lot like mine, gave her a B & B, and still more issues. Going home didn’t solve her problems. There will always be problems, disappointments, new seasons, and new joys too. I feel that God used this story to show me (and readers) that no matter what happens, we can trust Him. We need to let His plans for our lives unfold and to realize that no matter where we are or what happens (empty nest, feelings of sadness, loneliness, abandonment, fear of the future) He’s beside us if we ask Him to be. 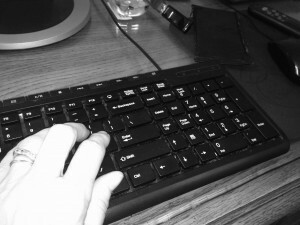 As I wrote and rewrote the story, I realized that I had a plot, message, and a real novel on my hands. It wasn’t just fictional scribbles to hide in a drawer. 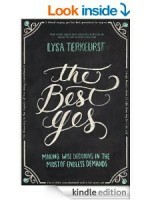 My husband challenged me to finish the book and get it published in 2013. We recognized that as a new empty nester, the space was available to devote to the book, and then to the time-consuming promotions, and programs required to sell it. It was the right time to go for it. Tomorrow or next year might not be. This is why I self-published. One thing I would tell a would-be author is don’t underestimate the time a book will require of your life. If you decide to move forward with the project, make sure a significant amount of free time is cleared for you to devote to marketing and doting on your book after it is published. If I had waited for an agent, deal, publisher, or some other form of magical thinking, the book might never have seen print. I had no illusions of becoming a bestselling author. But as a newspaper journalist, I had a base of readers who might be curious about what I had to say and buy copies. 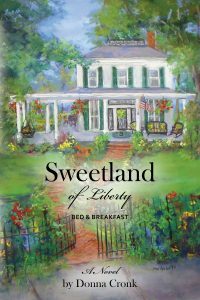 Two-hundred copies of Sweetland of Liberty Bed & Breakfast landed on my doorstep in January 2014. 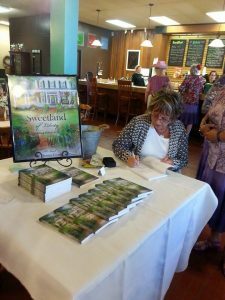 To start, I had lined up a dozen programs and library signings, women’s-club meetings, early-morning coffees, and service-club dinners in which to speak about my book and then sign copies for those who wanted them. To my delight, people responded positively, and I enjoyed the ride and the busy schedule. It wasn’t long before I ordered more books, then more, and my initial costs were soon redeemed. 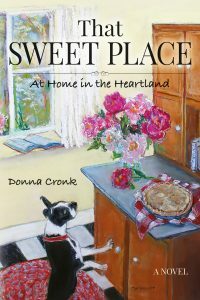 The sequel, That Sweet Place: At Home in the Heartland, came out last year. I got many repeat signings and programs from the first time, along with some new ones. I’m constantly looking for more. This story follows Samantha after the drama in book one has settled down. Now she is ready for a semi-permanent boarder, and maybe even a romance. The theme of the book is figuring out where God wants to plant and use us. There are also recipes. I mention them throughout both novels and put them at the end. They are all tried and true, either from family or friends. I’m not getting anything close to rich. But I’m in the black on both books, and I’ve had countless wonderful experiences traveling throughout Indiana giving programs on a variety of themes found in my books. I’ve sat in living rooms and answered discussion questions for book clubs. I’ve reconnected with people I never thought I’d see again. 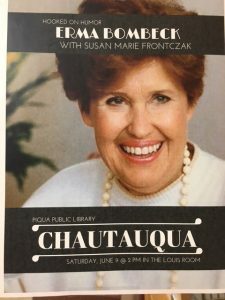 I’ve been cheered on in my hometown library by my kindergarten and fifth-grade teachers – sitting next to each other a half a century after I sat in their classrooms. I wouldn’t trade these surreal, sweet moments for anything. As long as people book me for a May banquet or a February chili supper with their book club, I’ll go. With bells on. The other thing I would say to writers who want to publish is to consider going for it. Google “self-publishing companies.” You’ll get bunches of names. I used CreateSpace and would do it again. If I waited, or kept going to conferences hoping to catch someone important’s eye, I think the first book would still be in the drawer and the second not even a gleam in my eye. God gave me a new life chapter with these books. And for that, I give Him the praise and glory. This post is long enough for now, so I’ll say thank you to Christina for letting me share. And I’ll leave you with a bit more advice. 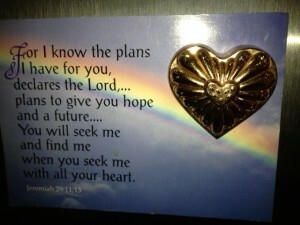 From the first book: Trust God and live your dreams. From the second: Bloom where – and before – you’re planted. Donna Cronk and her husband Brian live in Pendleton, Indiana. He’s a retired school administrator and teacher. She continues working as a community newspaper journalist in nearby New Castle, Indiana. 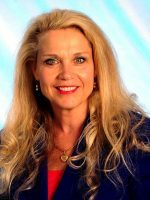 She’s won many statewide newspaper-writing awards and is a contributor to the Indiana University Press anthology, Undeniably Indiana. Email her at newsgirl.1958@gmail.com. Both books are on Amazon in print or for Kindle. 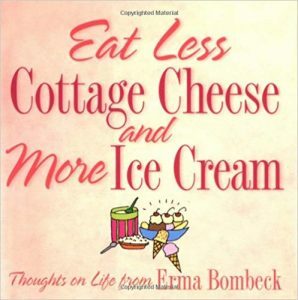 Or, invite Donna Cronk to your church banquet, women’s group or book club to give a program and buy them from her! Contact Donna and she will tell you about her topics. 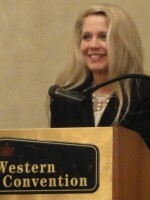 Or she invites you to visit her website at www.donnacronk.com.